This macrame piece is structured, yet flows. 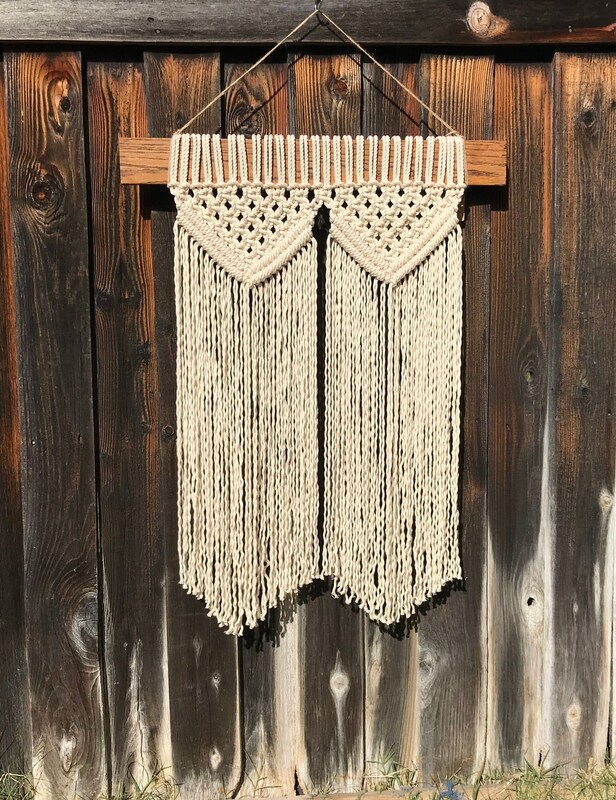 It is made of 100% natural cotton rope and hung on a stained piece of wood. This piece hangs 26 inches wide and 34 inches long.